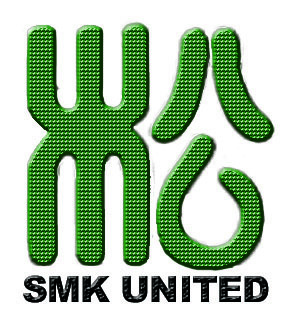 Gumdo is a Korean sword art which draws from battlefield tactics and techniques to build a curriculum for mental, physical and spiritual development. Students learn forms, step drills, sitting & standing meditation and cutting (paper, fruit, straw & bamboo).This is a non-contact martial art that is fast paced for good workout but is low impact, which makes it suitable for many age groups. Classes are for 13 year olds and up or with the approval of the Master Instructor. 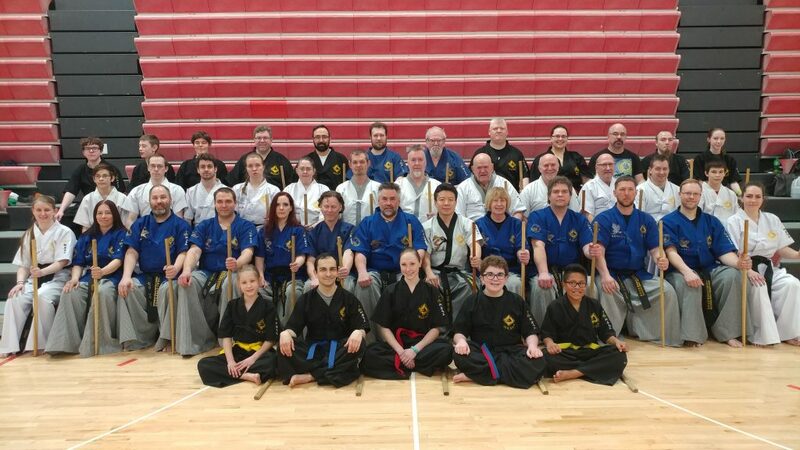 You can find the class times for each program on the dojang pages. 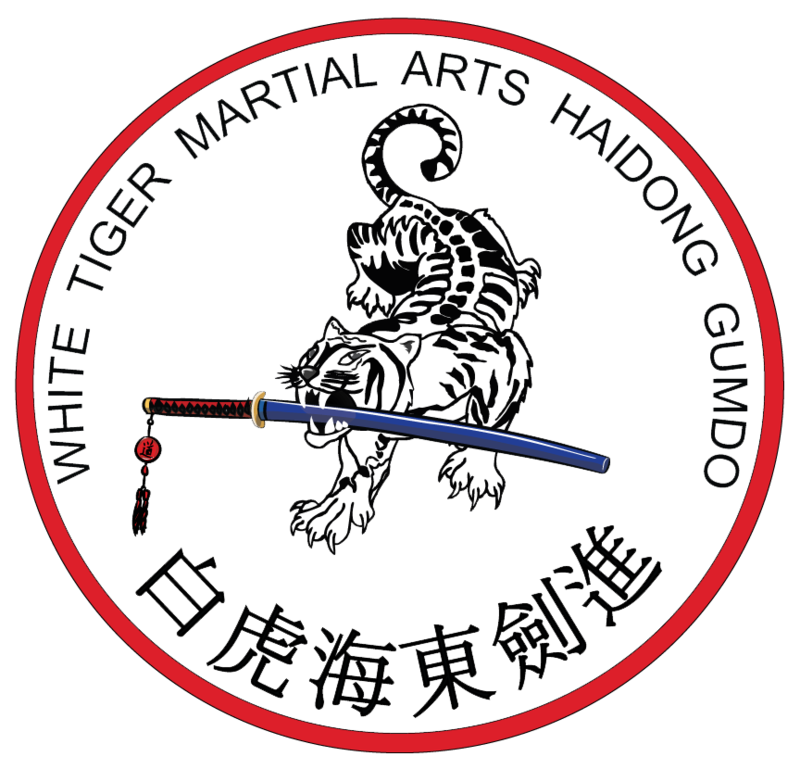 Haidong Gumdo, The Way of the Sword, is an ancient and noble martial art from Korea. Its purpose is to execute justice with the light of the sword that is as majestic and brilliant as the morning sunlight on the east sea. Geographically, Korea is in a great location. It’s a peninsular nation with ample access to the ocean, as well as being a close neighbor to both China and Japan. Because of its location nearby countries in ancient times often sought to occupy Korea to gain control of its excellent geographical attributes. Korea also frequently struggled with civil war, as opposing dynasties within the country vied with each other for power. As a result, Korean warriors of old often found themselves fighting off foreign invaders and warriors from rival Korean dynasties. The prevalent state of warfare in Korea gave these Korean warriors the opportunity to practice their sword techniques and find out which techniques neutralized their enemies most efficiently and effectively. In the 1970’s, they reached a spiritual wanderer named Jang Baek-San. Jan Baek-San, living on Kwanak Mountain, found an eager and talented student in Mr. Jeong-Ho Kim. 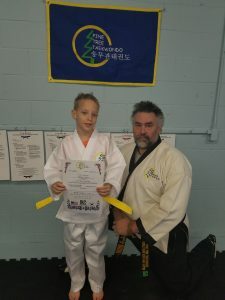 He taught Mr. Kim all he knew of Haidong Gumdo, and Mr. Kim has moved on to modernize Haidong Gumdo and establish a worldwide Haidong Gumdo presence. 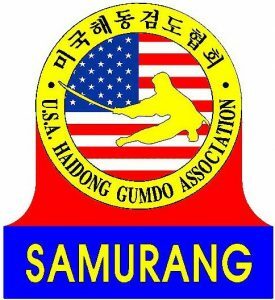 Today, Grandmaster Jeong-Ho Kim is the President of The World Haidong Gumdo Federation, an organization dedicated to spreading the art of Haidong Gumdo throughout the world. 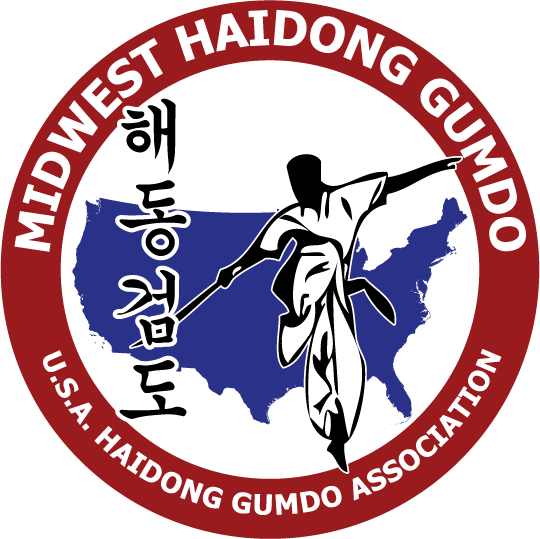 Grandmaster Kim has established nearly 500 Haidong Gumdo dojangs in Korea and well over 1,000 schools in more than 30 other countries outside of Korea. He continues to spread his vision of the martial arts and conduct seminars; and has received numerous awards, including one given by Bill Clinton, President of the United States, for his great contribution to American society.